On Friday and Saturday, robots will descend upon Stan Sheriff Center at the University of Hawaii to participate in the 9th Annual FIRST in Hawaii Robotics Regional Competition. "FIRST — For Inspiration and Recognition of Science and Technology — is an international competition that engages high school students in the exciting and rewarding world of science, technology, engineering and math, popularly called #STEM in today’s educational jargon. The robotics invasion at Manoa will host 38 teams with more than 1,000 students, representing 26 schools from across Hawaii, as well as two teams from the mainland and 11 international teams from China, Australia, Taiwan and Japan. Participation in the FIRST competition offers an inviting and challenging window of opportunity for high school students to experience an interesting, exciting and rewarding “slice” of the life of an engineer and scientist. The design and building of a robot is a fascinating, real-world professional experience that each school team undertakes in order to solve a common engineering problem in a six-week time frame. 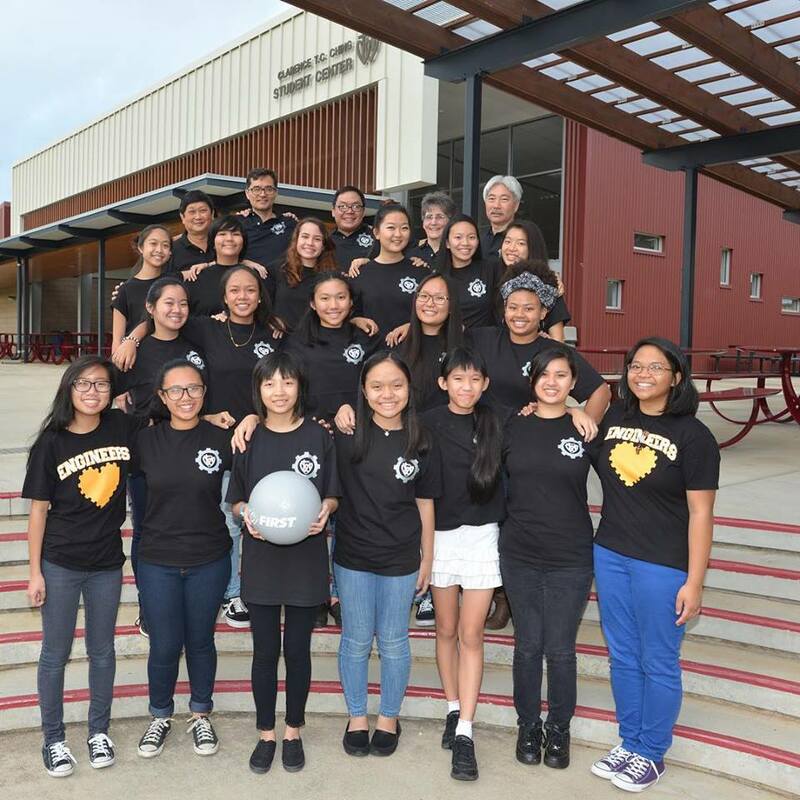 Issued a standard 70-pound kit of parts and a common set of rules, Hawaii’s student “mechanical wizards” are partnered with engineers from industry and academia as each school develops a prototype robot for a game played by the robots. 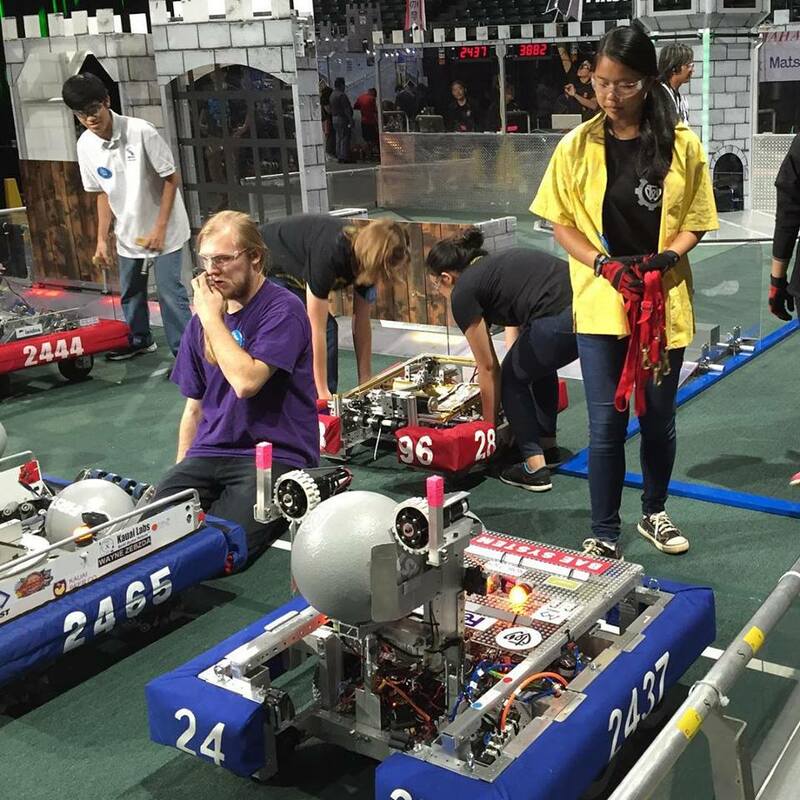 Students must program and remotely control their robots in rounds of competition. 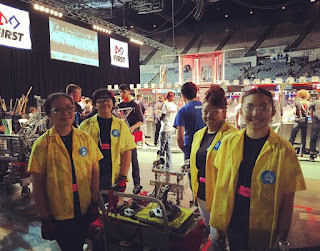 Referees oversee the game; judges evaluate the teams and present awards for robot design, technology, website design, 3D animation, public relation- ships, sportsmanship and commitment to FIRST standards. 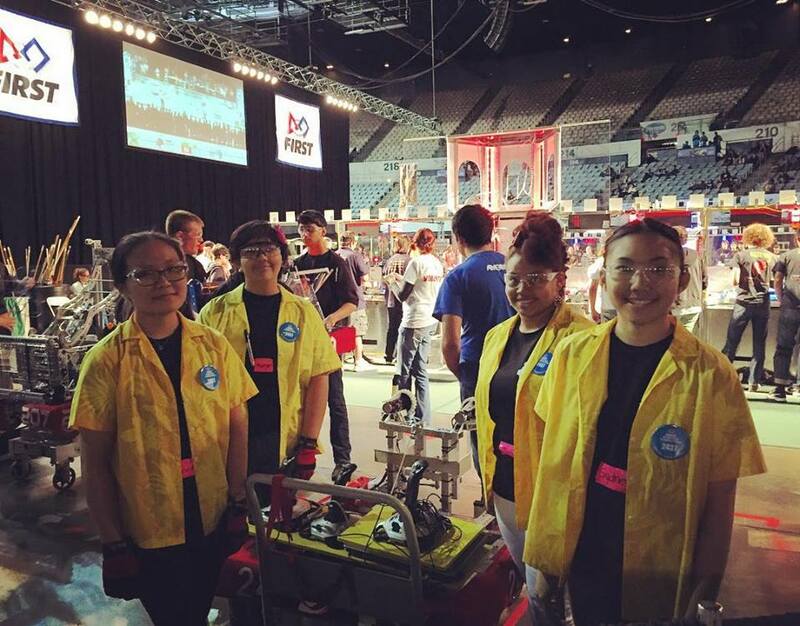 The hoopla we all hear about robots in the high school curriculum is well-placed, and is dynamically enhanced through the competition that FIRST offers. Our students receive pragmatic lessons with the tools that science and engineering require in order for the professionals of tomorrow to engage in Hawaii’s future economic and business growth. Building math and science skills continues to receive much state and national attention as STEM professions grow 1.7 times faster than non-STEM careers. Businesses in today’s global economy need creative problem-solvers with strong math and science backgrounds. To gain an edge in the 21st century, Hawaii’s students need to develop these skills in order to support the high-technology skills and competencies that our future will require. Indeed, Hawaii’s shortage of engineers and technical talent is real and current.